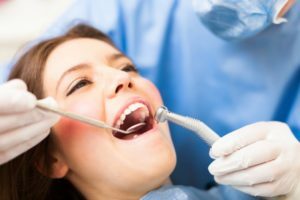 When you go in to visit your dentist in Wylie for preventive care, you may wonder whether he’s a magician or wise wizard because the moment you open your mouth for an examination he’ll be able to tell you quite a bit about your overall health and activities. Rest assured, though, that he’s not using a Harry Potter spell book to determine these things about you. Instead, it’s well within the scope of a trained professional to get a glimpse of your medical history and lifestyle through your mouth because it is the window to the rest of your body. To learn about 5 things your dentist can spot about your health from an oral exam, continue reading. Pregnancy – In some cases, expectant mothers will suffer from gingivitis because their bodies are producing an abundance of progesterone, a necessary hormone to facilitate pregnancy that also causes bacteria growth. Vitamin Deficiency – A vitamin deficiency can lead to many oral conditions, including burning tongue syndrome, increased infections, delayed healing and easy-to-bleed gums. Each deficiency will leave its calling card and your dentist will know by the symptoms you display. A Nail Biter – If your dentist notices unusual wear to your tooth enamel, he will know that you are a nail biter because it leaves traces. This is based on the fact that your teeth are made only to bite and chew food; thus, if they come in contact with a substance too hard for the function of their design, there will be signs. Your Flossing Habits – Nobody wants to go to the dentist and have it known that he or she has been negligent in practicing oral hygiene, so it’s common to try to step up such things as flossing in anticipation of the visit. Your dentist will know, though, because the recent changes in your habits will leave fresh cuts in your gum tissue. This is due to the fact that you are making a sudden change to your normal routine. Sinus Infection – Some patients may think they need a root canal because sinus pressure has been mistaken for pain related to tooth decay. This is because the roots of the top teeth are positioned in the same area as the floor of the sinuses. A simple way to determine whether pain is sinus related is to bend over and touch your toes. If the pressure increases, then it’s probably related to the latter. Although the above information provides you with more insight into the inner workings of your oral cavity, let it not be overlooked that the common denominator is the importance of the semi-annual visit to your local oral expert. These appointments are not just for cleanings and checkups; they are also educational opportunities. So take advantage of this chance to become more acquainted with your oral health and experience how your dentist applies science in a manner so thorough that it seems to be magical. Passionate about serving his patients and building relationships, Dr. Travis Rottman earned his Doctor of Dental Surgery degree from Texas A&M Baylor College of Dentistry. A member of the prestigious Academy of General Dentistry, he practices at Sachse Family and can be reached for more information through his website.